'Conservative' is an appropriate description for the male Irish names used in the 17th to 19th centuries. No matter what class or religion, John, James, Edward, and Joseph make countless appearances. There were some names, however, that can often suggest a particular background. Within the E to M band, Michael, Jeremiah, Laurence tended to be chosen by the lower rungs of the social ladder, regardless of religion, while Hubert and Malachy were reserved for the sons of wealthy Catholics. Protestants were keen on Henry and George, Gilbert, Horatio, Isaac, Jonathan, Joshua, and Leonard. I have a Florence in my own family history, and his branch of the family was easy to trace because every generation included a Florence. The name is pure West Cork peasantry, and comes (so I'm told) from the McCarthys. Hyacinth, in contrast, was linked to the D'Arcys and was handed down to the sons of prosperous famililes in Connaught. In the list of male Irish names below, you may notice there are none beginning with the letter K. You might wonder where is Kevin or Kieran, or Kyle, or any of the other popular names normally associated with Ireland. Theres a simple explanation: the letter K doesnt exist in the native Irish alphabet. The sound of a K is normally spelt with the letter C in Irish. So youll find Cáemgen and Ciarán via the link at the bottom of the page (but you wont find Kyle, as that name is of Scottish origin.) Another pecularity that may be of interest is that, with very few exceptions, all names ending in -án, -éne and -íne are masculine. These male Irish names can become female names by substituting an ending of -nat or -sech. So, for example, Aedán becomes Áednat and Oissine becomes Ossnat. Of the male Irish names below, Lugán can become Luigsech in the female version. Éber/Éibhear eev-ur Hector/Ivor Originally popular in legends, and throughout the medieval period, it became a name localised to Derry until the late 19th century. Eiltíne Elt-in In Irish means nimble person. St Eiltíne is patron saint of Kinsale. Émann/Éamonn Aym-on Edmond, Edmund An Irish rendition of the Anglo-Norman name, Edmond, it means rich protector. Ireland's first Taoiseach (Prime Minister) was Eamon de Valera. Emmett Eh-met Although it didn't start out as a first name, it has become popular as such because it honours Robert Emmett, one of Ireland's great Irish rebel heroes. Éanne E-na Enda Means free as a bird. Many ancient heroes bore this name including a legendary king of Munster. Popular among the Kavanaghs and Kinsella families. The anglicised version is unisex. Eoghan Ohn/Oh-win Owen One of the most popular names of early Ireland. In south of Ireland, the anglicisation tends to be Eugene. Fachtna Fork-nah A very popular name in early Ireland, despite meaning malicious or hostile.It can also be a female name. Fearghal Fur-gull Fergal Means brave man in Irish and once extremely popular. Has regained some popularity recently. Fiachra Fee-krah Possibly means battle king. One of the most common male Irish names in the Middle Ages. In France, St Fiachra is the patron saint of taxi drivers and travellers. Fíngin Fin-in Florence Means wine-birth and was the name of an early king of Munster. It remains a relatively common name in that province. Finnbarr Fun-var Barry Means fair-haired one. A popular name in County Cork (Saint Finbarr is the patron saint of Cork City. Fionn/Finn Fee-yun Finn In Irish, means fair or white-haired. The tale of Fionn McCumhail, aka Finn McCool, is one of the best known Irish legends. Gallchobar Gal-chur xxxx Uncommon old name from which the surname Gallagher derives. Gillucan Gul-agen Gillian Means little lad. Uncommon old name from which the surname Gilligan derives. Iarlaith Eer-la Jarlath Name of the patron saint of the diocese of Tuam, co. Galway, where the name remains popular. Illann Ul-ann The name of an early king of Leinster and many warriors of the Fianna. Relatively common name in the late middle ages. Irél Ir-ee-al In traditional tales, Irél is the son of Conall Cearnach, a great warrior from Ulster. Lachtna Lokt-na Lucius Means of the colour of milk. The name is found mainly in Munster and was borne by many Munster high nobles including the brother of Brian Boru. Laígsech Leesh-ach Lysagh/Lewis Means man of Laois. Lennán Lan-aan Lennan Means sweetheart or paramour. Name of king of western co. Clare in early 900s. Lochlainn Luk-lin Lachlan Probably means Viking. Popoular name of the O Neills in Ulster and O Hanleys in Connaught. Lorccán Lurk-an Lorcan Means silent or fierce. One of the most common male Irish names in the medieval period, and borne by the grandfather of Brian Boru and several kings of Munster and Leinster. Lugan Lu-ane Comes from Lug, a Celtic god and master of all the arts, meaning radiant, brilliant. Lughaidh/Lúí Lu-ee Lewis Very popular name in early Ireland, and in legend. Also many saints. Derived from the name Lug, a Celtic god. Máenach Men-ach Quiet one. A common name throughout old Ireland. Maine Man-ee Many Extremely popular early Irish name, in both legend and history. Marcán Mork-an Popular southern name in old Ireland. 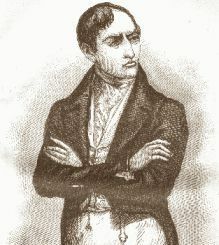 Marcán mac Cennetig was Brian Boru's brother. Muirchertach Mir-art-ach Murtaugh/Mortimer Meaning skilled mariner, One of the most popular male Irish names in early and medieval Ireland, and even until the 19th century among some northern families. Muirchertach mac Erca is a legendary high king but the name also belonged to historical kings.